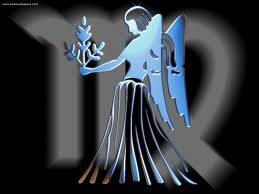 How did the sign of Virgo get its name? Posted in Why is Virgo called the virgin ? What are the major planetary events of 2016? Question answered here! Just when I was thinking of putting together a list of 2016’s major astrological events I’ve found the list of those very events on Leah Whitehorse’s excellent site, Lua Astrology. Many thanks, Leah, for compiling this key for us. I will certainly be printing it off and keeping it beside me for reference for the rest of the year. And ” What does it all mean?” is sure to be the next question. Well, astrology students out there, go and work it out for yourselves! If you want some help in doing so, there are many excellent astrology sites who will be reflecting from varying perspectives, on what the complex planetary picture for 2016 is likely to symbolise for us at both a collective and a personal level. Enjoy your research! – and do leave any useful information pointers on this topic which you may wish to add, in the comments section. Thanks and all good wishes for Aries New Moon Year 2016 to everyone! From the depths of antiquity right through until the general advent of electric light in the early part of the twentieth century, humans have been powerfully influenced by the 29.5 day cycle of the Sun and Moon. They hunted in daylight, made long journeys by the light offered by the Moon as it moved to full illumination of the night sky 14-15 days into the cycle. They timed their most powerful magical/religious rituals to coincide with the Full Moon. 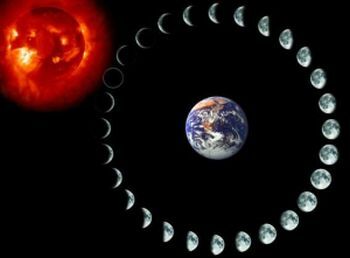 Ancient peoples gradually came to understand, as the age of agriculture took root and developed, that the time to plant their crops was when the Moon was waxing in the early part of the 29.5 day cycle, and in the Spring, or waxing, part of the year. The planetary cycles, from the tiny 29.5 day Sun/Moon cycle to that powerful regulator of human affairs, the 20 year Jupiter/Saturn cycle, were recognised in antiquity as weaving all life including that of human beings into an observable rhythm which brought a context of order, structure, and some comforting predictability to the patterns of life on Earth. But whether the cycle is huge, like the Neptune/Pluto 500 year one which was not known in antiquity, or small, like the monthly Sun/Moon one, the same basic stages apply: seeding, germinating, sprouting, flowering, ripening, harvesting, dying back in preparation for the new. 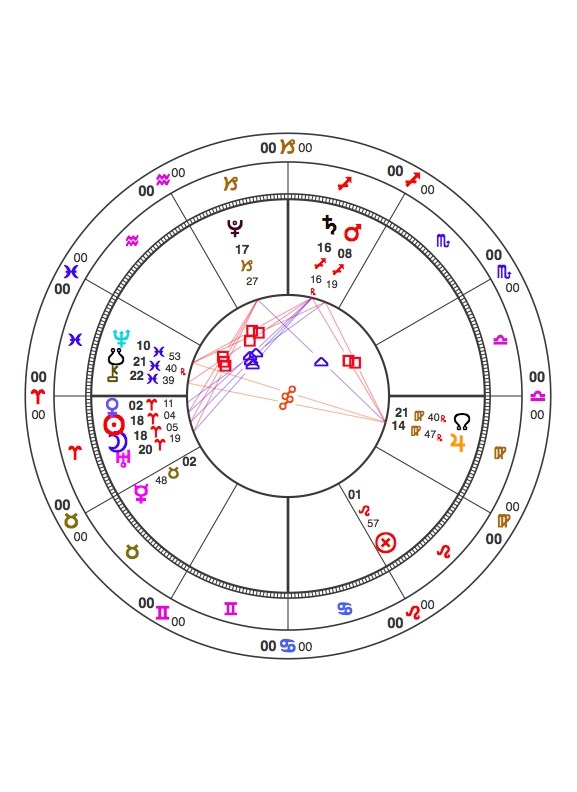 Moondark describes the end of any cycle – the 12th House phase – whether we are contemplating the monthly Sun/Moon one or the epoch-defining Neptune/Pluto cycle. It is the time of withdrawal and dissolution of energy – think of wintertime, the stripped trees, the cold, barren earth – a time of dark power in which the old order dies at a number of different levels, so that fertile energy can emerge from the womb of the night: indeed, a time of “dying back in preparation for the new.” Thus, every year, the time from the New Moon in Pisces to the New Moon in Aries can be seen as the 12th House phase, the Moondark time, of the entire zodiacal year. Moondark has fascinated me for a long time. I may first have encountered the concept in my twenties, through the agency of Marion Bradley’s magnificent novel “The Mists of Avalon”, set in the time of druidical Britain in the era when Christianity was sweeping through the Roman Empire and the Old Religion of the Druids was being violently challenged as a result. The legendary King Arthur, disregarding the advice of his Druid priests, married Guinevere in a Christian ceremony – at Moondark, the very end of the Sun/Moon monthly cycle. Since Arthur was a king, getting the symbolism of his marriage right was much more important than it would be for ordinary mortals! “Woe, woe, no good will come of this!” was the view taken by the Druids. They were right. The marriage was childless; moreover, Guinevere spent much of it in love with Lancelot, one of the knights of King Arthur’s fabled Round Table. We tend to think of the annual 20th March equinox, the day that the Sun enters the sign of Aries, as the symbolic beginning of spring in the Northern Hemisphere. But you could argue that the true beginning of spring is when a New Moon takes place in the sign of Aries. In 2016, that celestial event occurs on 7th April, both Sun and Moon meeting at 18 degrees of Aries, the fiery first sign of the zodiac. The degree of their meeting varies from year to year: in 2015, it was 28 degrees Aries; in 2014, 10 degrees; in 2013, 21 degrees; in 2012, 2 degrees– on that occasion very close to the 20/3/12 spring equinox. I find it illuminating and helpful to think of each year in those terms. Thus – as we wait for the fresh energy upsurge of the Aries New Moon this week, we are symbolically waiting in Moondark. This year’s Moondark has been especially potent; it has run from the 19 Pisces New Moon on the 9th March, which was a total solar eclipse. Events of a collective and personal nature have been powerful, dark and traumatic this Moondark: the combination of a total solar eclipse, the following lunar eclipse at 3 degrees Libra on 23rd March, and Saturn’s station at 16 deg 24 mins Sagittarius from 23rd to 29th of March with his turning retrograde on Friday 25th – Good Friday in the Christian calendar – certainly brought us experiences of symbolic crucifixion. Collectively, the worst of several horrors from 23-29 March 2016 were the dreadful terrorist massacres in Brussels, Belgium and Lahore, Pakistan. At a personal level, I heard many stories of deaths, and injuries. There were two murders in my home city of Glasgow, Scotland, UK during that period. We experienced a death in our extended family, after one member’s long period of great suffering. A close friend fell and is still hospitalised. Other friends are also dealing with traumatic events which flared up during that period. Moondark is at its best a contemplative time: a time to take stock both collectively and personally. We live in an increasingly frenetic 24/7 society where ‘time out’ is increasingly hard to find, and is not supported by the culture as a whole. Those of us who wish and need to retreat regularly to preserve our balance and well-being tend to be regarded as odd by mainstream society. But humans have always benefited from times of quiet contemplation, in whatever way suits them best: listening to music, doing yoga/meditation, praying to whatever Higher Power sustains them, making or contemplating art, walking in Nature –especially by the sea, that great universal symbol of dissolution and emergence. Even half an hour a day of retreat time on a regular basis is nourishing for the spirit. In ancient times, women used to retreat together monthly during menstruation time which was seen as a period of potency, and hidden power – a liminal time to link through dreams and ritual to worlds unseen. Happy Aries New Year when it comes!